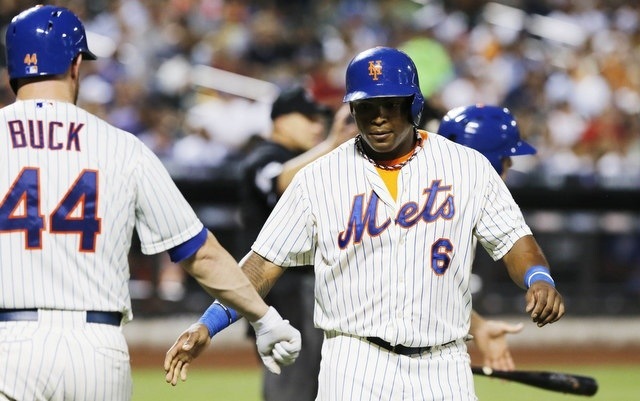 The first outfielder is off the board as former Met Marlon Byrd will not be flying back to Queens, instead will be resigning with the arch rival Phillies. The Phillies signed Byrd to a two-year deal for $16 million. Byrd had genuine interest in coming back to New York and the Mets were going to make him a priority this winter. However I didn’t get the sense they were going to bid more than $10 million or so over those two years, especially with other options out there. Byrd began his career with the Phillies and played there from 2002-2005. The Mets will now see their former player face them 19 times a year. Byrd’s story is truly remarkable as he had serious trouble finding a minor league deal last offseason and now he got $16 million with a chance to play every day in a depleted outfield. Should the Mets have given Byrd $16 million? 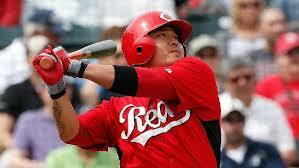 1.Shin Soo Choo: Choo will be the Mets #1 free agent target this winter, no doubt about it. He is everything Sandy Alderson is looking for in an outfielder, a strong arm, power and a lot of patience at the plate. It is a little concerning that Choo will go from a homerun ballpark in Cincy to spacious Citi Field. Expect his power to decrease next year should he leave Great American Ballpark. The major red flags from Choo come from the fact that he is already 31 and will likely get a five-year deal in Free Agency this winter. The Mets may be better off spending this kind of money on multiple players, however the Mets love Choo and will need a leadoff man. He will get a lot of money and as a Scott Boras client, expect this to drag out for a few months. 2. 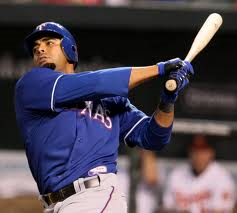 Nelson Cruz: Cruz should be a popular Met target this winter since he has power and his market will likely be diminished due to a 50 game PED suspension. Signing a PED player wasn’t a problem for Alderson when he brought in Marlon Byrd last winter. Cruz has enormous power, the most power on the free agent market. Cruz was actually signed as an international free agent by the Mets but never got to New York, bouncing around before finding a home in Texas. There is a decent chance that Cruz returns to Texas. Cruz has a very strong throwing arm but little range with could pose a problem in Citi Field. The red flag with Cruz comes from his massive strikeout totals, his 2013 PED suspension and the fact that he is a terrible defensive outfielder. He likely could get a three year deal in free agency for about $12 million per year. 3. Stephen Drew: We have speculated here on BrokeMets about the Mets likely pursuit of Drew. He had a solid season with the Boston Red Sox and is unlikely to return with top prospect Xander Bogaerts ready to take over. Drew had a very mixed postseason stint with the World Champion Red Sox. He was stellar defensively at short getting anything near him but was just horrendous with the bat until Game 6 vs. the Cardinals where he homered in the clincher. The red flag with Drew is how much will he hit in a much worse lineup and with the lack of shortstops available his market should include at least half a dozen teams. 4. 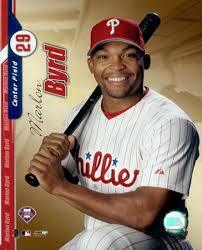 Marlon Byrd: Byrd had the best season of his career in 2013 between the Mets and the Pirates. He hit a career high 24 homers, not including a strong postseason showing, and played a wonderful right field. The Pirates are trying to lock him up before he hits free agency on Tuesday but I’ve been told that is unlikely to happen at this point. Every team could use a lefty mashing power bat so he should have a strong enough market to get a two year deal. The red flag with Byrd is he is one year from a PED suspension as well, and is also already 36 so a multiyear deal is risky. 5. Tim Hudson: Hudson who has had a wonder career could be a great veteran to add to a very young pitching staff. Last time we saw Hudson he was being carted off at Citi Field after breaking his ankle with a collision with Eric Young Jr. Hudson was having another solid season and was in line for close to 200 innings yet again. The red flag for Hudson comes from the fact that he missed the second half of the season last year and will turn 39 next July. He could be a solid option on a one year deal but there is a pretty good chance he goes back to Atlanta looking for that one last chance at a World Series ring. The Mets are going to need a few outfielders, a shortstop and a starting pitcher or two so these are a few names to consider when free agency starts at 12:01 a.m. Tuesday. Who should the Mets look at in free agency this winter? The Mets will make signing Marlon Byrd a “high priority” this winter according to various news outlets. I briefly wrote this in my last post but it appears the Mets believe his production this year could translate into another strong season next year. I believe Byrd would be a good addition to the 2014 Mets. He was their most consistent player in 2013 and at the age of 36 he won’t break the bank here. His offense carried over even after being traded to the Pirates and into the postseason. He can play right field everyday and at most would probably get a two-year deal despite his eye popping season for the Mets and Pirates. I think it is fair to assume some sort of regression for Byrd next year but the power he showed in Citi Field in 2013 was truly remarkable. Again Byrd comes with serious risk here as he is coming off a career year in his age 35 season and was busted for PED’s the year before that with the Boston Red Sox. I believe his price tag which should be fairly small, should be worth the risk. Even when Byrd was struggling before 2013, he still crushed lefties so he could always be an intriguing option off the bench if the Mets can find better outfield solutions. Talking with a Mets official, he told me that the most likely former Met between Carlos Beltran, Jose Reyes and Marlon Byrd to return would definitely be Byrd. That shouldn’t come as much of a surprise as Byrd and the Mets have shown mutual interest in the right fielder returning to Queens for 2014. The Mets need to fill in both corner outfield positions this winter and Byrd could be a decent option for one of them. 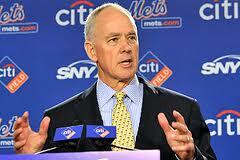 Sandy Alderson went on Mike Francesa Tuesday and gave his monthly state of the Mets. Here is everything you need to know. Matt Harvey’s injury will change their offseason approach, but the team still expects to contend next year. They plan on spending some money on a starting pitcher now, somebody who could eat innings although it is unlikely to be a top tier guy like Matt Garza. Although it won’t be decided for a few weeks, Matt Harvey is likely for surgery. Zack Wheeler has been even better than expected according to Alderson. Wheeler, Jon Niese and Dillon Gee are the only guys penciled in to next year’s rotation. The Mets already know what they’re going to do with Ike Davis and the injury could be a help to Lucas Duda. “Ike wasn’t going to change our minds” Sandy said to Francesa about Ike getting hot in September. Sandy still believes Lucas Duda could be a run producer in the middle of the lineup but the outfield experiment appears to be over. Lucas Duda has shown he can hit left-handers a lot better than Davis. Terry Collins status will be determined after the season but multiple reports say he is likely to be back for 2014. The team would have made the Marlon Byrd deal regardless of Harvey’s injury. They also would have pulled the trigger on that deal if it was on the table at the trade deadline in July. Tejada will be up when Las Vegas is finished in the playoffs. He will play every day then. Eric Young Jr. has really impressed but they don’t expect him to play every day next year. Young is arbitration eligible and will be one of the five outfielders next year. His playing time next year will be determined by what other outfielders are brought in. Juan Lagares at the plate “frustrates” Alderson but he is chasing less pitches and his defense is unbelievable so he is in the plans. It seems as if it’s more likely that Lagares starts instead of Young but that is just speculation on my part. Rafael Montero and Jacob deGrom could make the team out of Spring Training especially without Matt Harvey available. Alderson was never likely to deal one of his top starting pitchers for a bat and is even less likely now with Harvey’s status in question. Sandy expects David Wright to be back at some point this month. In the mean time Josh Satin and the hobbled Wilmer Flores will play third base. Ken Rosenthal of Fox Sports is reporting that reliever Vic Black is a “strong possibility” of being the player to named in the Marlon Byrd trade. This report has since been confirmed. Black, 25, has had a strong season in Triple A going 5-3 with a 2.51 ERA and 63 strikeouts in 46 innings. Hitters are batting just .169 against him this season. Besides having a cool name, Black has pitched in 3 games for the Pirates this year who have a very deep bullpen. Black has a terrific arm and would be a strong get to an already strong trade for the Mets. 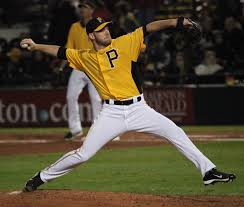 Black was the Pirates first round pick in 2009 and has thrived after moving to the bullpen. His fastball can be a plus pitch, into the mid-90s with sinking movement, and he combines it with a hard slider that could be a Major League average pitch. Black’s control, however, hasn’t been nearly as solid until 2013. If Black can find the strike zone with more consistency, he has the stuff to pitch out of the back end of the bullpen perhaps as a closer or an 8th inning guy. Black being on the Pirates 40-man roster, is expected to clear waivers tomorrow, though if he is claimed, the Pirates will pull him off waivers and send Black to the Mets at the end of the season. If he goes unclaimed he can be one of the Mets September Call ups. MiLB.com ranked him as the sixth-best pitching prospect in Pittsburgh’s farm system entering 2013. Neil Huntington the Pirates GM went on a Pittsburgh radio station acknowledging the player to be named was a “ouch” prospect. 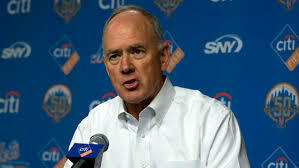 Another good get for Sandy Alderson. 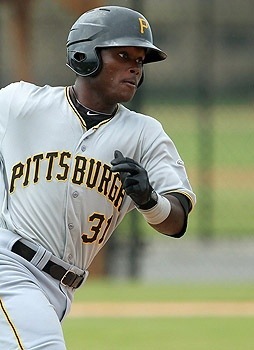 RF Marlon Byrd and C John Buck with cash have been traded to Pittsburgh for 19 year old 2b Dilson Herrera and a player to be named later. 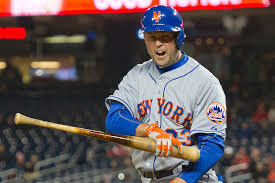 Byrd had a fantastic season in New York hitting a career high 21 homers and playing a steady right field. John Buck who will backup Russell Martin in Pittsburgh got off to a terrific start hitting 10 homers in April but hit just 6 since and lost his starting job to Travis d’Arnaud. Herrera was putting up solid numbers in High A playing mostly second and a little third. He is NOT a shortstop. Herrera was ranked as the #11 prospect in the Pittsburgh system according to MLB.com. He would definitely rank in the top 10 for the Mets. He will likely head to Single A Savannah. Losing Byrd hurts but in a season that is already over it made sense to deal Marlon Byrd when he’s a free agent in a month. The Mets already have interest in bringing Byrd back to Queens in 2014. It’s a bittersweet trade. On one hand the Mets have traded their most consistent player but on the other hand they are getting a very good prospect back for one month of Byrd. What do you think of the Mets trade?